It’s that time of year! 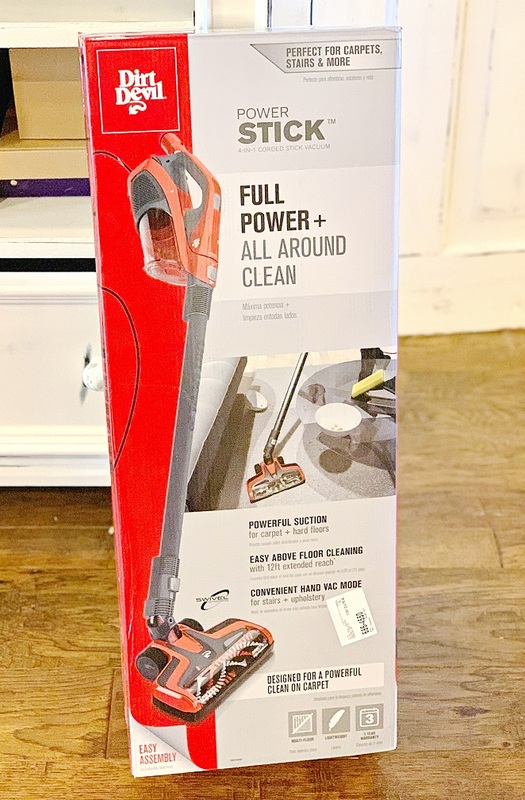 See how Spring Cleaning Is Made Easier with Dirt Devil Power Stick! I have been on the lookout for a lightweight vacuum for a while. We have a lot of different floor types in our home, as I am sure many of you do! 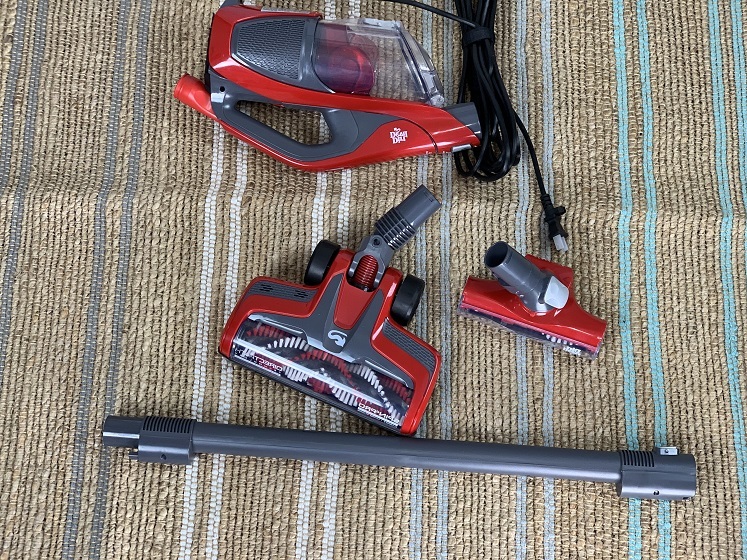 For this reason I was excited to review the Dirt Devil Power Stick Corded Vacuum. This year we are in the process of renovating floors in our home, so we have invested in wood look tile in the kitchen and den areas. We still have carpet in the rest of the house. It presents a challenge when cleaning these different floors! 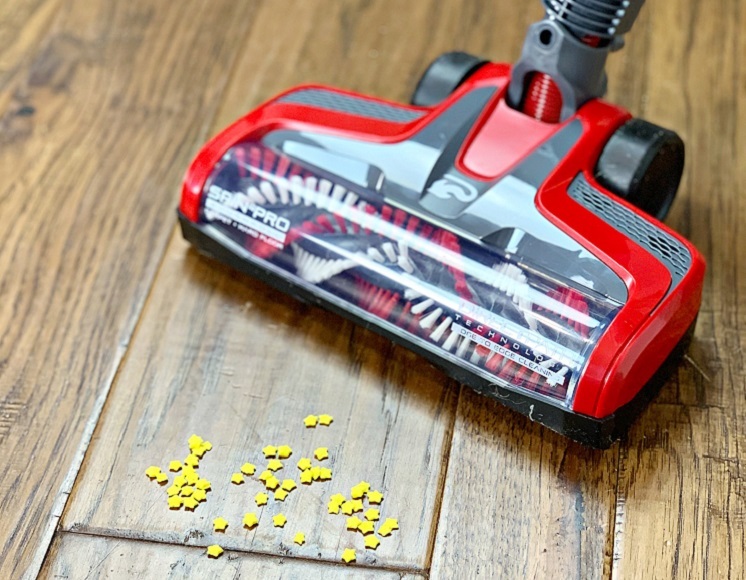 My go to was just a broom and dustpan for the tile – just since my regular heavy vacuum would not under any circumstances pick up crumbs on this tile floor or navigate around the dining room furniture. Dust and crumbs just glide right over it, pushed along by the vacuum. I wanted to try a stick vacuum with more flexibility and options for cleaning. The Dirt Devil Power Stick is a good choice since it does have the more flexible handle to get around chairs, under the desk in the den, and more. I like how it has the clear top so you can actually see if it’s picking up crumbs and dust! It is made for both carpet and hard wood so you don’t have to use two vacuums. If you want to see specifications and more details, you can shop here at Walmart. It retails for $89. 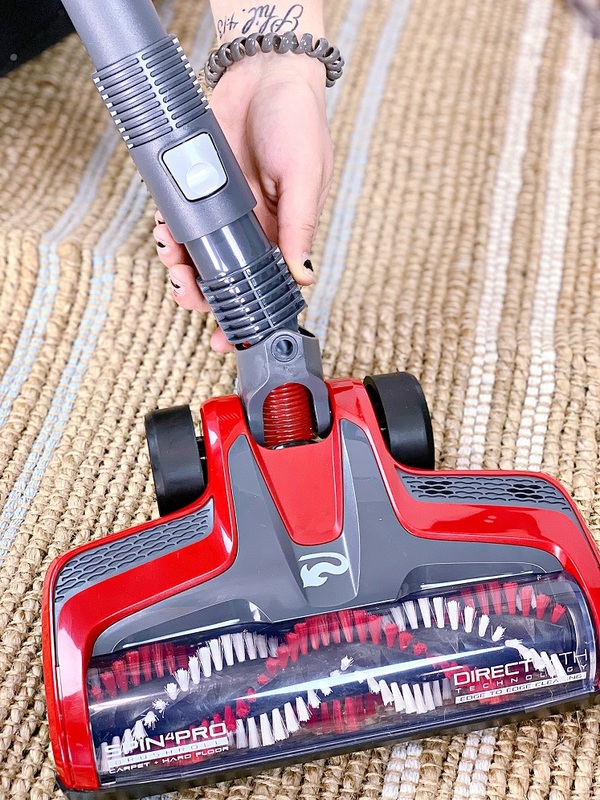 The other great feature of the Dirt Devil Power Stick is the fact it can be used as a regular hand vac, for furniture and curtains. We have so many allergies in the family and really try to keep curtains to a minimum, but I do want them to soften the larger windows in the living room and den. Having a good hand vac and also the regular extension on the Power Stick will help keep dust down. Oklahoma is so dusty and windy, and then we end up airing out the house a lot in the nicer spring weather. So I am looking forward to being able to dust more efficiently with the Power Stick. Hope you enjoyed reading how I plan to use my new Power Stick Vacuum! What are your spring cleaning plans?? Let us know in comments or on Facebook!